The index opened weak around 8180 but saw some buying interest to move to the highs of the day at 8265 but saw profit booking to end near the lows of the day at 8170.05, loss of 33.55 points. The broader market was negative with 720 advances to 856 declines. Range for the series at 8000-8400. Call option 8100-8300, 8500 added 12.22 lacs OI with profit booking at 8400 strike price. 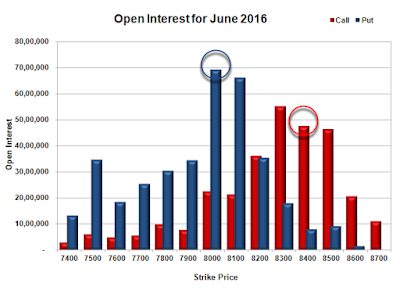 Put option 8200-7900 added 4.81 lacs OI with short covering at 8300 and above strike prices. 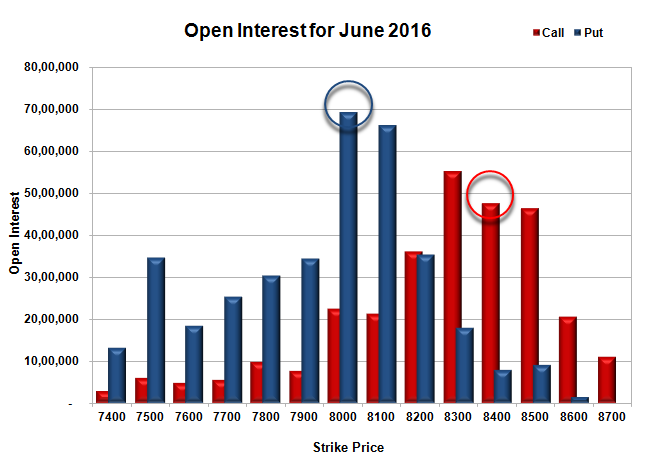 Nifty Open Interest is at 2,14,82,550 down by 21,000, with decrease in price, probably long liquidation. 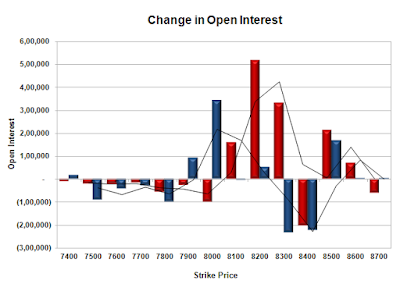 Bank Nifty Open Interest is at 17,55,330 down by 42,300 with decrease in price, probably long liquidation. FII’s bought 5267 contracts of Index Futures, which includes net 1596 contracts long build-up and 3671 contracts short covering, with decrease in net OI by 2075 contracts, includes 30384 longs to 25117 shorts for the day. FII’s Index future open contract as on date is 259695 Longs to 37512 Shorts, Net 222183 up by 5267 contracts. 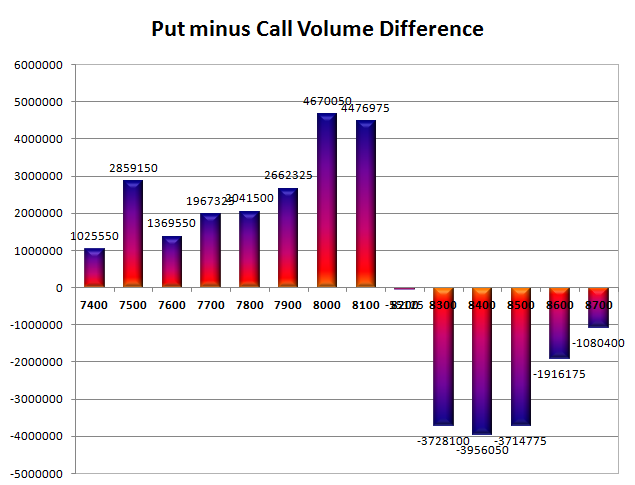 Initial and best support at 8100, with OI of 66.16 lacs and below that at 8000 with highest OI of 69.28 lacs. Initial resistance at 8200, with OI of 36.04 lacs and above that at 8300 with OI of 55.21 lacs. Day Range as per Option Table is 8132 - 8250 and as per VIX is 8102 - 8238 with 8200 as the Pivot.